A night out for you, themed fun for the kids! Bring the kids to the Y for an evening of fun including pizza dinner, games, gym, swimming*, themed activities, dessert and movie and lots of active play! Family Programs Kids Counselors and volunteers will be supervising to ensure an evening of fun! Dinner, snack and dessert included. Ages 3-12. Must be fully potty-trained. *Swimming available for those kids who have already passed the YMCA swim test and have the picture proof to show upon check-in. This month's theme is Mini Engineers with lots of designing, building and creating using a variety of materials. If swimming, please show proof of swim test completion to the check-in staff. 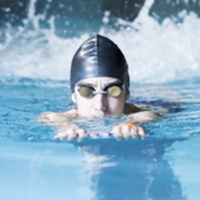 Children who are planning to swim who have NOT completed a swim test will not be able to swim unless they are able to pass a swim test.